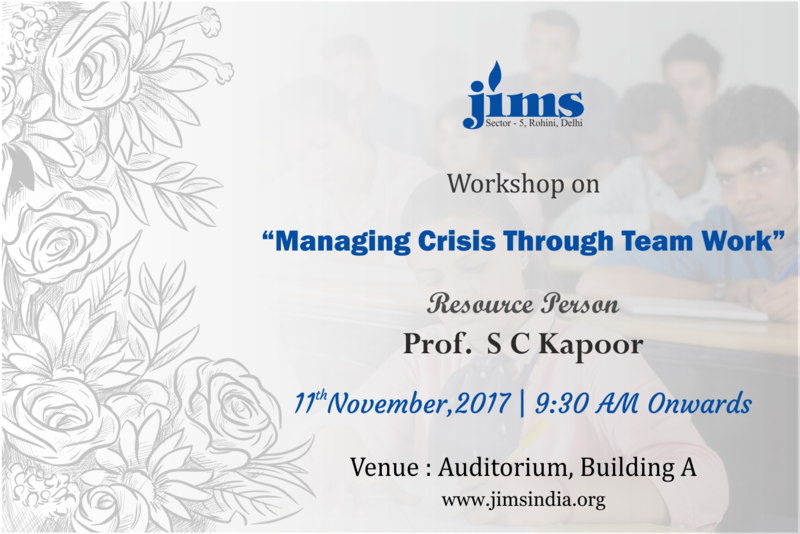 JIMS HR club co-ordinators organising a live activity on “Managing crisis through TEAM WORK" on 11th November 2017, at JIMS, main auditorium. It is going to be a live exercise giving exposure to our young budding managers in team building. “TEAM BUILDING" is the MANTRA to address crisis on COMPLEX DECISION MAKING. COME, PARTICIPATE, LEARN, ENJOY and CELEBRATE SUCCESS! !